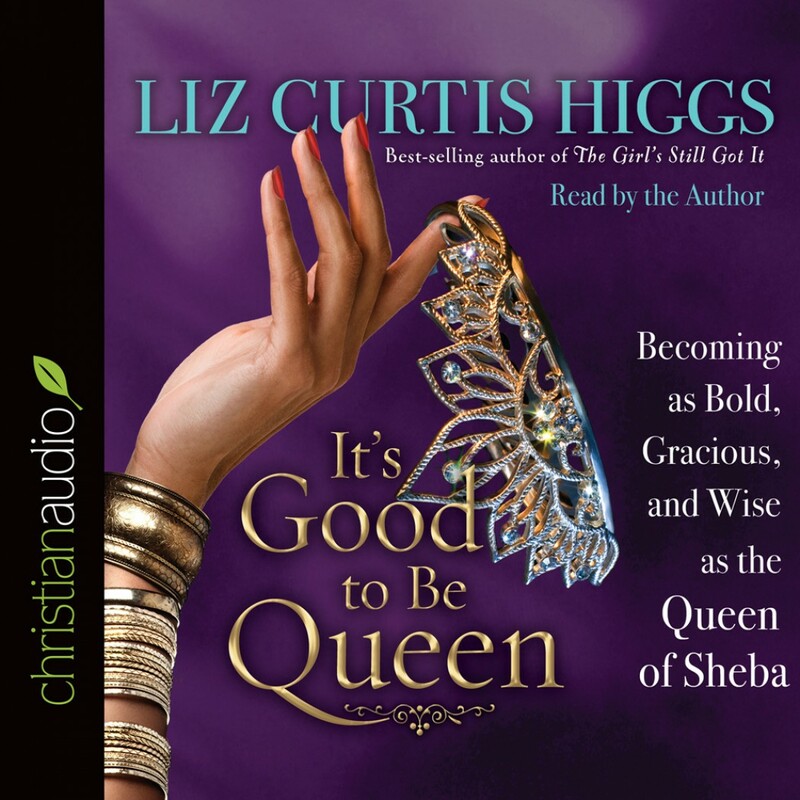 It's Good to Be Queen By Liz Curtis Higgs Audiobook Download - Christian audiobooks. Try us free. When it comes to queens in the Bible, we know the good one, Queen Esther, and the bad one, Queen Jezebel. But what about the wise one, the Queen of Sheba? This wealthy royal from antiquity, who longed to observe for herself the wisdom of Solomon, offers a storehouse of treasures for her modern sisters, showing us how to seek after truth, ask the right questions, keep an open mind, give generously, and honor God above all. Just as Sheba posed enigmas for Solomon to solve, this book will address thorny life questions and consider what qualities best serve a godly queen of any realm. It's Good to Be Queen incorporates the biblical account with historical material from Josephus and other resources, and touches on various legends that have swirled around the Queen of Sheba for thousands of years. As she did in The Girl's Still Got It, Higgs offers deep and meaningful takeaway while drawing readers in through her warmhearted, sometimes humorous style.